I have more scarves than I know what to do with, but I refuse to get rid of them. Each one has a specific memory tied to it, and all of them make me smile. Plus, they're a reminder of my favorite time of the year. 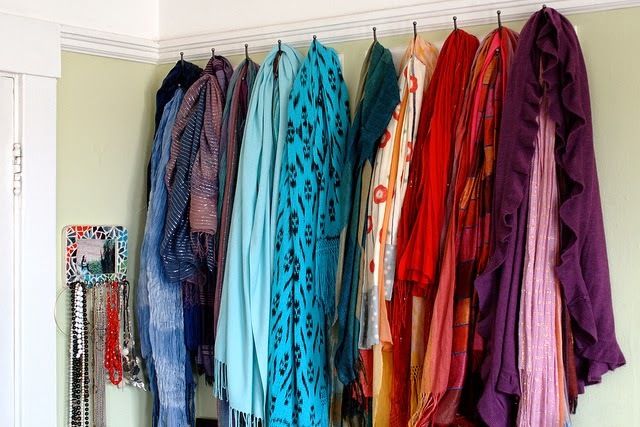 So I keep them out and visible all year long in my bedroom, 1) as a wall decoration and 2) as a wonderful wall of scarves to choose from for when the colder months come around.